Places are strictly limited, contact me now to register! Join the Only Fitness, Health & Wellness Challenge that Guarantees a Maximum of 4 People per Session! Try the Personalised Approach for Truly Lasting Change! 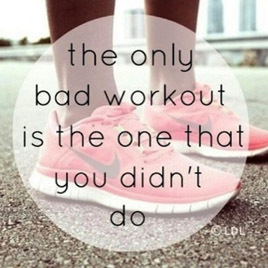 How many times have you kicked off an exercise regime or healthy eating plan only to give up because it got too hard, you lost motivation, ran out of healthy food options or that little voice in your head said “I can’t do this”? Kicking off on Feb 1 with Pre-exercise Screening, Goal Setting and a 3 day detox to get you set for 2 months of Clean Eating, Small Group Training and Daily Support & Motivation to keep you on track! Register now, places are strictly limited! 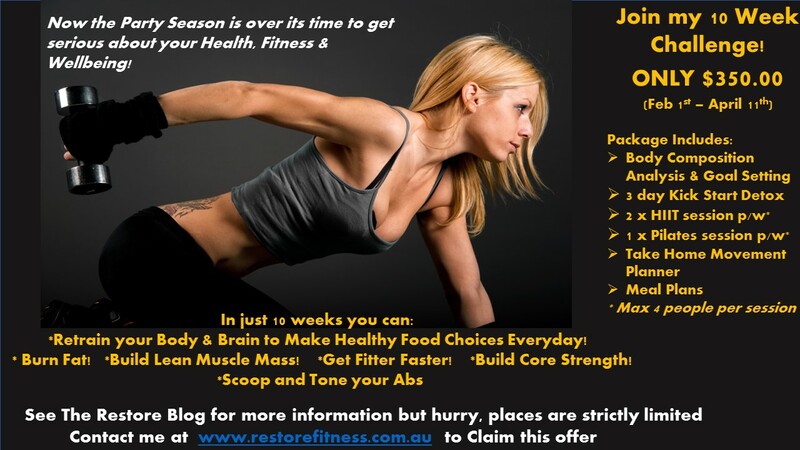 Contact me at info@restorefitness.com.au to book you pre-exercise screening and get your Detox Information.